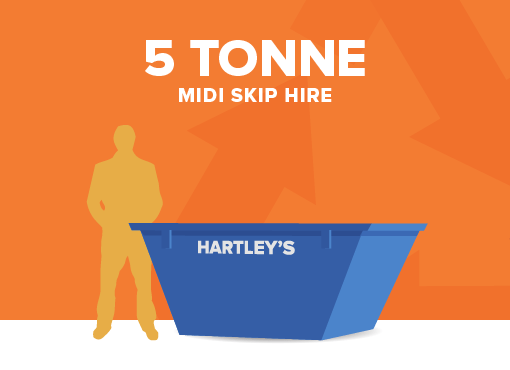 This skip is ideal for domestic or business use, this is our most popular skip for domestic customers. A great skip for renovation projects such as smaller house clearances. The capacity of this midi skip is 5 yards³/3.8m³. The skip dimensions are (average) Height 0.96m (3″ 2″) | Length 1.8m (5″ 11″) | Width: 1.22m (4″1″).